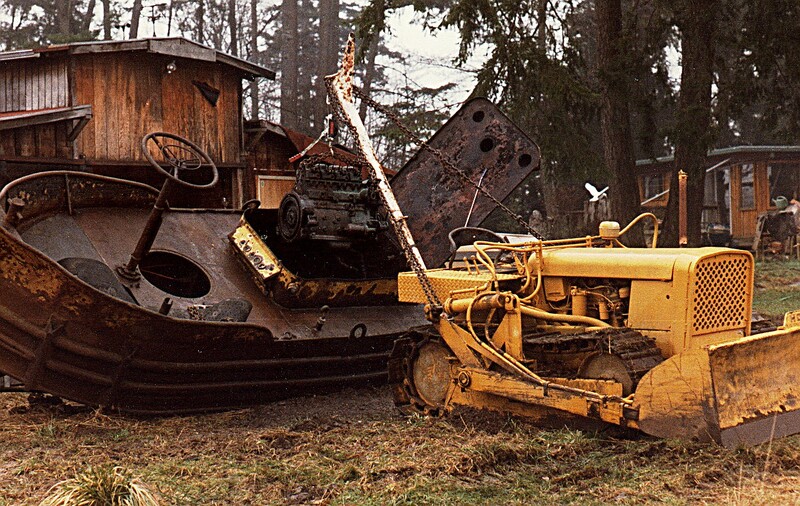 Surly you believe that a Holt bulldozer is a forerunner of the Caterpillar, but this one is not. Sorry it isn't a Cat, but it is, in a way, related. 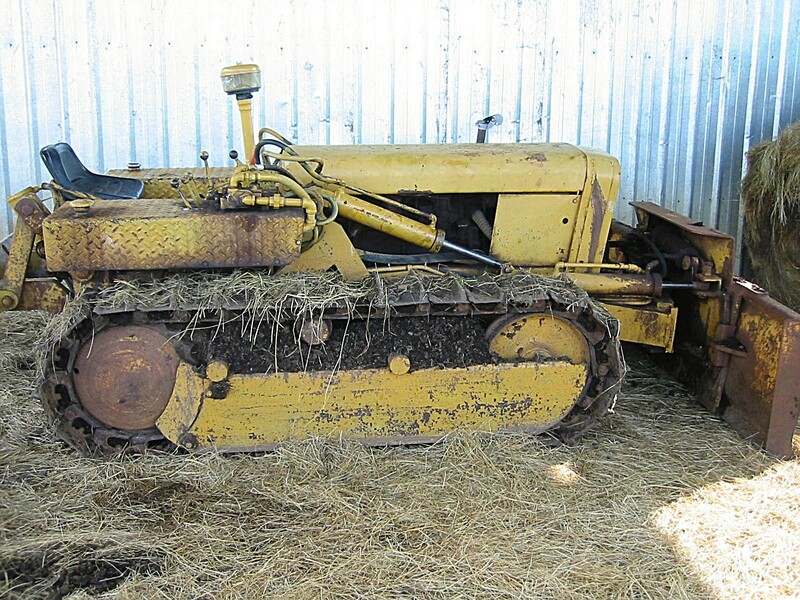 The tractor is a 1961 HOLT and the first answer is no, it was not made by Caterpillar or the original Holt that combined with Best prior to forming Caterpillar. I've been answering that question since I bought it in 1967. 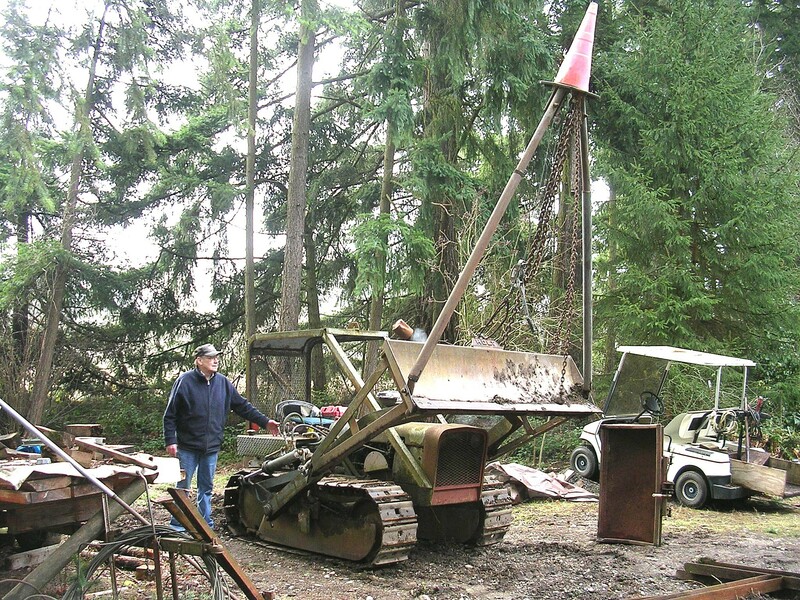 It was built by Holt Manufacturing Company in Independence, Oregon. The name Holt appears on many Cat blades and winches built between about 1946 and 1964. (Also for John Deere/Linderman, International Harvesters and Allis Chalmers.) 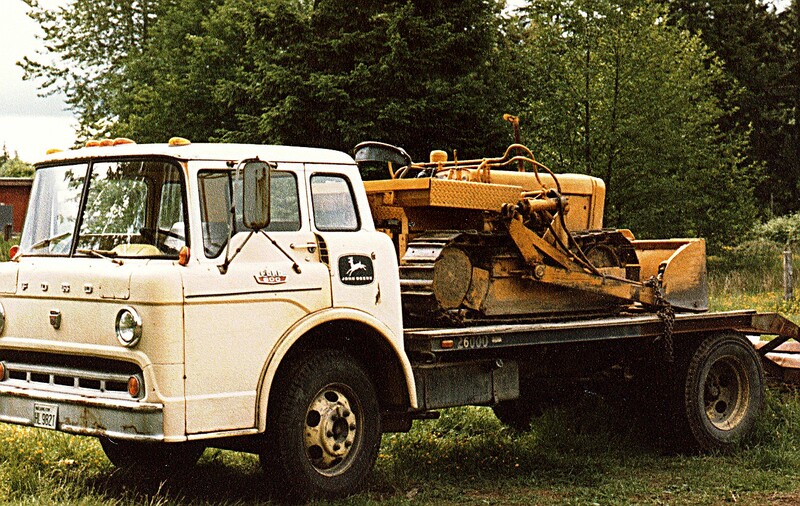 In the early '70's I packed up the family and drove to Independence to look for answers and I met and spent some great hours with Francis Holt, the owner and founder of the company. At the time, he had sold his holdings, which, after another sale/merger, became the Franklin Sweed Division of Franklin Equipment Company. (To learn about Franklin Treefarmer go to http://www.franklin-treefarmer.com and click on "Foundry.") Mr. Holt was still working in the shop for them and this is what he told me: It seems that Caterpillar and others deemed it less expensive to have their blades and external attachments farmed out to private contractors across the US rather than building and shipping them from their factory (there was a small fabrication shop in downtown Tacoma, WA doing just that until the 1990's.) Holt became one of those contractors and built blades and winches, with the Holt name on them, from the mid 1940's up until he retired and sold his holdings to Swede Mills, the foundry across the street that did his steel casting (which, it seems, he also originally owned.) As stated above, Swede Mills has since merged with Franklin, which is still in business, building logging equipment. During world War II Holt had a contract to build winches and hydraulic blades for the US military and then thousands of them afterward through Independent Distributors, Portland OR. That's why many dozers had the name Holt on the blade and the winch during that time and that's why the perpetuation of the name and the confusion with Caterpillar.. Holt blades are easily recognized by the sturdy design of the outside track arm and the shape of the blade itself. Many also had a placket welded to the top of the blade with "HOLT" on it, but most have either been ripped off or removed to mount an accessory. 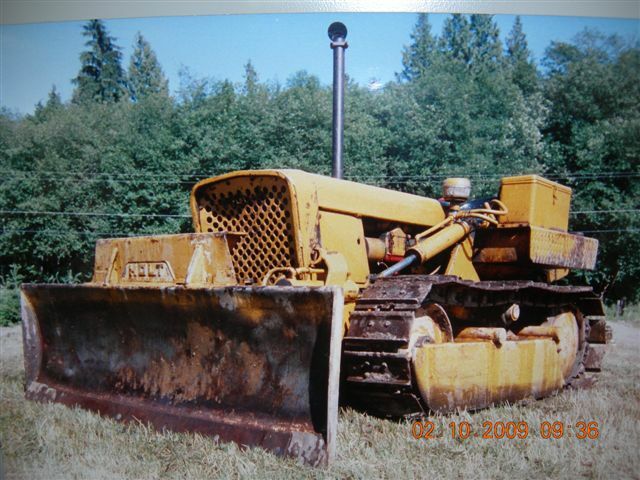 This crawler has a 134 CID Ford "600" gas engine (some had the 144cid diesel,) a Ford tractor "Sherman" reversing transmission and a Clark transmission integral with the differential and steering brakes (no clutches.) This transmission is also found in Oliver OC4's and in Case 310's and 350's. Case bought the Clark gearbox in the 1980's and it can still be found in their machines. I can still buy Case and Oliver parts that will fit in my gearbox (if I ever need too.) The frame, final drives, all the track parts and the body parts were built by Holt. I'm always looking for other Holt owners. If you have one, let me know! October 25, 2009: This stump was right in the way of the mower. All Johnnie Deere wanted to do was spin his tracks and the D2 Cat was too big and awkward to get the job done so Mr. Holt came through again. May 27, 2007. What can I say. He's a D2 Cat with a Holt blade, needs help and the price was right. Meet Allis. She's 70 years old, set to lose some weight, get some new tin and a paint job. July, 2009: An then she's just going to hang out with the crowd. OH! Here's Henry (and our Grand daughter.) 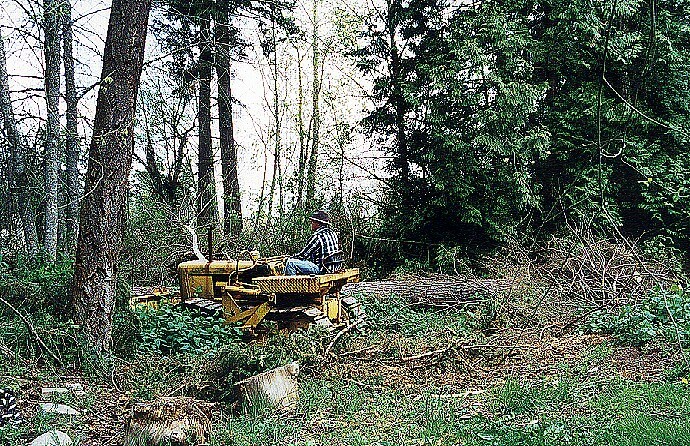 All these tractors sitting around and when there's work to be done, Henry's the guy that does it. He received his new paint job the Spring on 2008. 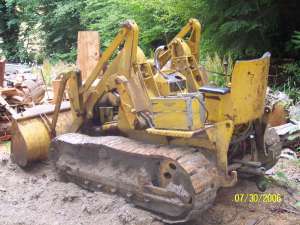 This diesel powered, 6-way blade Holt belongs to a friend in Oregon. This tractor is Not For Sale! If you're interested in contacting him for information, email me and I'll forward your email address to him. Here's one from Bothel Washington. He's in the process of moving to Walla Walla, Washington with the family. He's been with them since 1973. This tractor is Not For Sale! This Holt has lived about 5 miles from me since about 1968. This Holt tractor Is Not For Sale!